Cahn gave his opening remarks for the year during Monday’s Cherry Hill Township reorganization meeting. A sense of optimism filled the N. John Amato Council Chambers at Cherry Hill Town Hall on Monday night as Mayor Chuck Cahn spoke excitedly about his upcoming sixth year as mayor of Cherry Hill. Council kicked off 2017 with its reorganization meeting on Monday night. Prior to voting on the agenda’s resolutions, Cahn gave his opening remarks for the year, saying he was optimistic about the town’s outlook moving forward. “As we begin this year, Cherry Hill remains a strong, vibrant and thriving community,” Cahn said. Cahn highlighted the town’s fiscal responsibility and commercial growth as just two of the reasons Cherry Hill was operating strongly. He said the township’s selection as one of the best places to live in the United States by “Money Magazine” last September was proof of how the township has become a great place for families of all ages. Cahn also talked how important it was for the community to work together to improve the town even more in 2017. He said the local government would continue to be accessible and transparent. “Our continued success depends, first and foremost, on continued engagement with our residents,” Cahn said. Cahn also talked of the importance of the township’s department heads and employees. As part of the reorganization meeting, council approved dozens of township departmental positions. There are no changes on council in 2017. Last November, Councilwoman Carolyn Jacobs was elected to a one-year, unexpired term on council. It is Jacobs’ second year on council after being appointed to a seat last January. There are also no changes to the seats of council president and vice president. Council unanimously chose David Fleisher to serve as president and Sara Lipsett to serve as vice president in 2017. Both have served in those capacities since 2010. One of the buildings at the historic Barclay Farmstead property will soon receive a small upgrade thanks to a shared services agreement between Camden County and the township. Council passed a resolution on Monday night to enter into a shared services agreement with Camden County, allowing the township to use a $10,000 Camden County Open Space, Farmland, Recreation and Historic Preservation Trust Fund Grant to add a new exhibit at the farmstead’s forge barn. The township applied for the grant last summer. The plan is to put on display some of the antique farming tools inside of a window display at the forge barn. In July, Director of Recreation Megan Brown said the township wanted to add more visuals at the farmstead for people visiting the property outside of when the farmhouse held open hours. Township Director of Communications Bridget Palmer said the $10,000 grant is expected to cover the entire cost of the project. Cherry Hill Township will be able to make trash pickup at its parks and open space areas less of a hassle this year with the purchase of a new automated trash truck. The township was able to purchase the truck thanks to a $25,000 grant it received in 2016 from the Department of Environmental Protection. 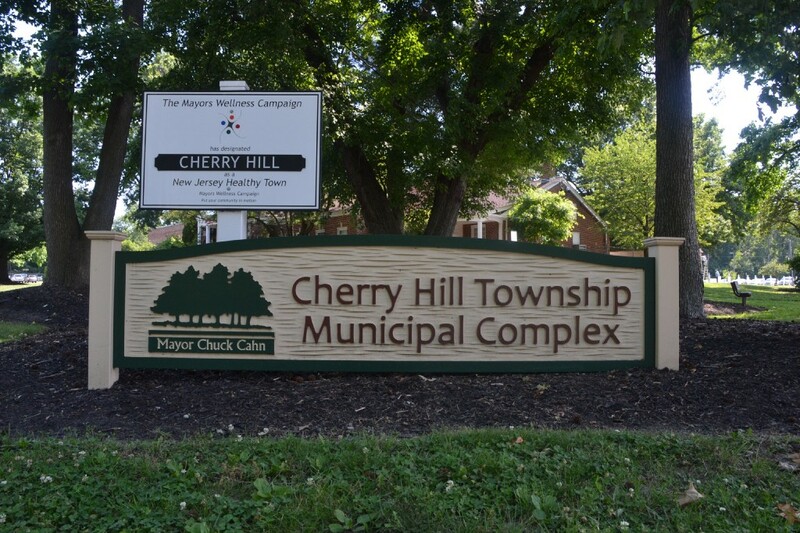 Cherry Hill was one of the first municipalities to receive the grant, which was awarded to towns with food waste recycling, scrap tire removal and public space recycling initiatives. Palmer said the purchase of the truck would allow the township to collect trash in a more efficient manner. Automated trash collection already exists elsewhere in the township. Last year, the township began a five-year contract with Republic Services of NJ where the company made a switch to automated trash collection.